And it's free for the foreseeable future! The promise of cloud gaming holds clear appeal. High-end gaming on any Internet-connected PC, even crappy old laptops that couldn’t dream of running games normally? Yes please! But the reality has been much more disappointing. Forebears like OnLive and Gaikai are remembered more for their bugginess and lag than genuine gaming goodness. The small horde of cloud gaming services popping up over the last couple of years likewise struggle with reliability issues. 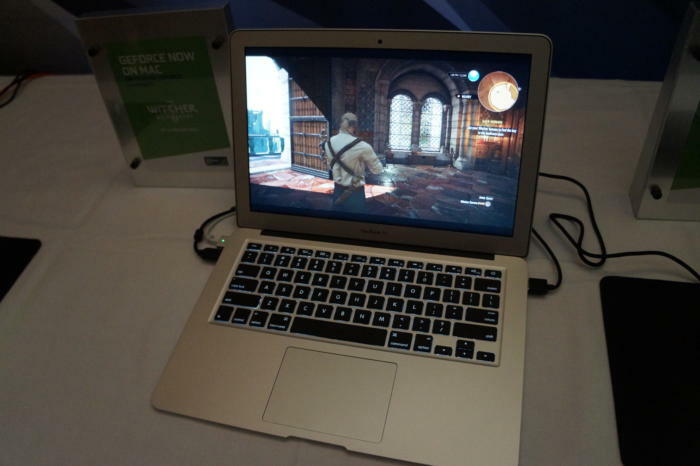 Nvidia’s GeForce Now game streaming could be the real deal. 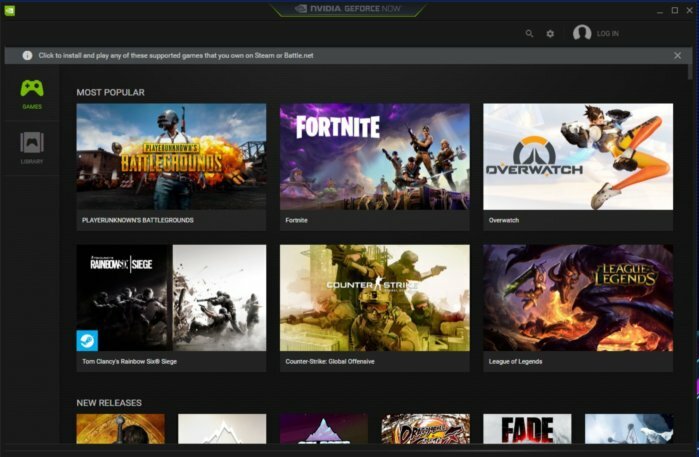 The GeForce Now beta finally landed on PCs in late January, and it’s the first cloud gaming service I’ve used that doesn’t require major compromises on a regular basis. Hell, it actively takes a lot of the headaches out of maintaining a gaming rig. If your network can handle it—and even my humble 25Mbps Comcast home Internet connection could—and you can wrap your brain around some weird interface quirks, you’ll be pulling off headshots and executing other precision moves in-game in no time. And better yet, you’ll be doing it at no cost whatsoever for the duration of the beta period. In an era of hyper-inflated graphics card prices, the GeForce Now beta may be just the lifeline gamers have been waiting for. Let’s dig into Nvidia’s cloud gaming service. Before you can dive in, you’ll need to get in. There’s a wait list for the service while it’s in closed beta. Nvidia hasn’t said when GeForce Now will fully launch. Register and wait for a spot to open. Because GeForce Now behaves similarly to Netflix—the games are run on Nvidia servers and streamed to your PC—the system requirements are minimal. You’ll need a Core i3 processor clocked at 3.1GHz or higher (or a comparable AMD chip), 4GB of system memory, and graphics that can run DirectX 9. Many chips released over the past decade check those boxes. The GeForce Now executable is only 54.6MB in size, though the final product consumes a hair over 2GB in total on my system. A Mac client is also available. Your network will probably be the biggest hurdle. GeForce Now requires a 25Mbps connection, and recommends 50Mbps or higher. Nvidia says you’ll need to use hardwired Ethernet or a 5GHz Wi-Fi connection as well—a typical 2.4GHz connection won’t cut it. GeForce Now tests your connection strength and won’t let you run games if your network isn’t up to snuff. The tester also measures your latency to Nvidia’s servers, and what percentage of frames are lost in transit, though the frame loss measurement acted weird in my testing. It said that almost 80 percent of frames were lost on a PC wired directly into my Comcast modem/router combo, even though dropped frames has never been an issue for me. Fortunately, it still allowed me to use GeForce Now, and games ran smoothly through the service. Most gaming mice and gaming keyboards work out of the box with GeForce Now. I tried a couple of different headsets (one digital, one analog) and a pair of speakers on my desktop; all functioned as expected. Microphones worked like a charm, too. Controller support is a bit more limited, with only the Sony DualShock 4, Microsoft’s Xbox 360 controller (not Xbox One), and Logitech’s Gamepad F310/F510/F710 supported. It didn’t bother me much, because the Xbox 360 controller is still the greatest gamepad ever made. GeForce Now is also available for Apple computers. Here's Witcher 3 running on a MacBook Air at CES 2017. Here’s where things get a little thorny. The first mental roadblock you’ll need to navigate around is the name itself. GeForce Now has been available for years on Nvidia’s sublime Shield hardware. 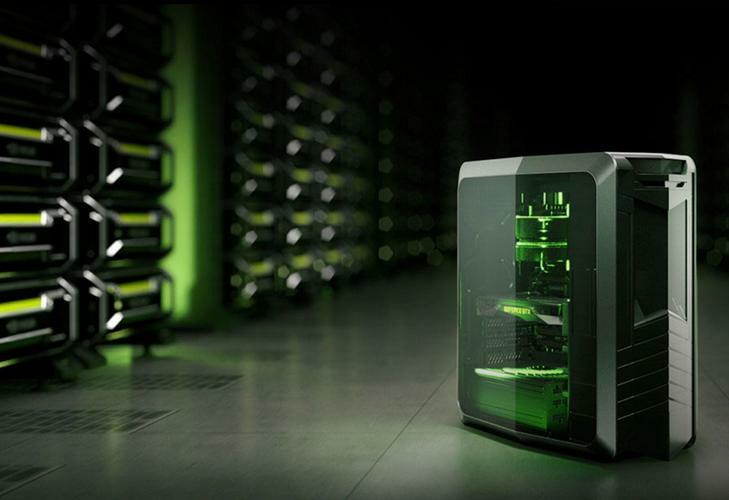 GeForce Now for PCs and Macs sports the same name, but it’s a different beast entirely. PCWorld’s GeForce Now vs. GeForce Now break-down gets into the nitty-gritty details but basically, GeForce Now for Shield is like Netflix for games. You pay $8 per month and can stream a selection of games as much as you want. GeForce Now for PCs and Macs instead grants you access to a virtual gaming PC on Nvidia servers, where you can install and run games you already own from Steam, Uplay, and Blizzard’s Battle.net. Fortnite and League of Legends can also be played. (Support for Origin and GOG games was mentioned in the original GeForce Now announcement, but they haven’t appeared in the client yet.) The PC service doesn’t let you play any games you haven’t already obtained though supported storefronts, but storage is unlimited via GeForce Now. Install all the games you want. After installing GeForce Now and logging into (or creating) your Nvidia account, you’re dumped into a clean but disorienting interface. The GeForce Now homescreen features a gigantic, scrolling list of games, separated by genre and other classifications. It also includes games you don’t own. Selecting a game boots you into its storefront, where you’re able to install it (or given the option to purchase the game) after logging into your account for that platform. It was much easier for me to find my games by using the search interface in the toolbar. Using the search feature reveals another quirk: A lot of games are missing from the GeForce Now library, even though the service can run any game from Steam. That’s because only about 150 games are officially supported, including most of the heavy hitters you’d expect like Dota 2, Call of Duty, Counter-Strike Global Offensive, Witcher 3, PlayerUnknown’s Battlegrounds, Skyrim, and more. Only supported games appear in searches or the GeForce Now homescreen. Searching for supported games is vastly superior to scouring the GeForce Now homescreen. Notice that only one XCOM game is shown. “These are games that we’ve tested and include support for quick install, persistent saves (game save data will persist from session to session), cloud saves (if the individual game supports it), and quick launches following the initial game session,” Nvidia’s Jordan Dodge tells me. After you install a supported game in GeForce Now, it’ll permanently appear in your Library tab, making it much faster to find it in the future. The homescreen interface would be vastly more helpful if it included the ability to sort through all supported games in alphabetical order, especially since you already need to own them to play them. But you can coax non-supported Steam games into working too, though GeForce Now doesn’t make it obvious. 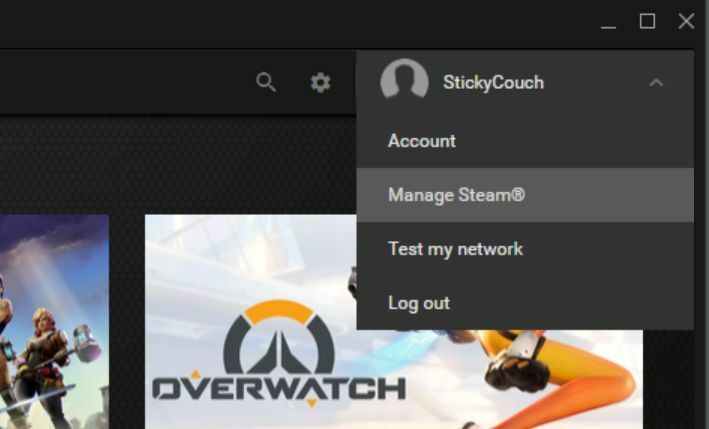 If you want to install non-supported Steam games, simply click the arrow to the right of your user name in GeForce Now’s upper-right corner, then click the Manage Steam option. The Steam interface appears, and you can use it to navigate to your library and manually install the game of your choice. That’s all true, but if your game of choice supports Steam Cloud saves, it doesn’t matter that Nvidia doesn’t save your progress through GeForce Now. The initial install on supported games is astonishingly fast, taking mere seconds. Nvidia’s connection blasts through unsupported games at a blistering rate too, though, as you can see in the image above. 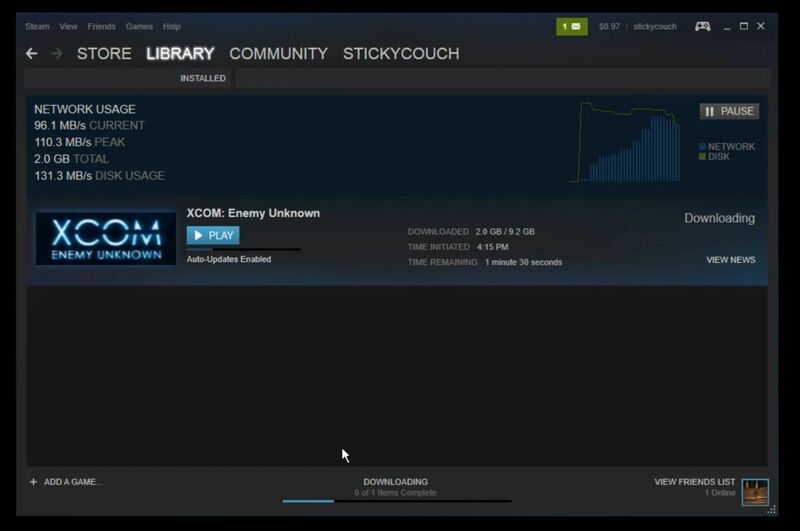 Downloading XCOM: Enemy Unknown’s 9.2GB only took a couple of minutes. You’ll need to repeat the process whenever you want to play an unsupported game, though, and unsupported games never appear in your GeForce Now library for quick access. The lackluster main interface and the way Nvidia hides non-supported Steam games are my biggest gripes with GeForce Now, but those are the sort of things that can be fixed quickly. I have no complaints about the core GeForce Now experience—actually playing games.